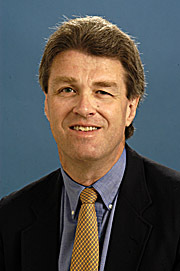 Larry Cook, instructor in economics. He has taught at UT since 1986. Cook primarily teaches Principles of Economics, Principles of Macroeconomics and Economics of Crime. The UT alumnus holds two degrees - a bachelor of arts degree in economics and political science and a master of arts degree in economics. "Mr. Cook has a way of teaching where he can take a complicated economics theory and put it in words and stories that made that idea easy to understand. He took a boring subject and made it understandable, and I often found myself telling my parents and other students about stories and concepts I felt were interesting," one nominator wrote. "Mr. Cook has been my favorite teacher thus far at The University of Toledo. He is the only teacher I have ever had that taught me all of a subject in eight words: "There's no such thing as a free lunch." Another wrote, "He has an excellent attitude and strives to make sure that every student understands the material. He is always available during his office hours and contacts you as soon as possible if you have any questions." "My goal is for the students to understand the ideas we talk about in class actually occur in the real world and truly affect our everyday lives," Cook said. "Also, I hope the students develop some basic concepts to help them make sound, rational decisions that will, hopefully, improve their lives." Laura A. Williams, lecturer in management. 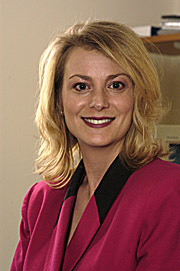 She began teaching at the University in 1999. As an entrepreneur, Frisbie has started companies ranging from computer repair to consulting services. Her consulting work includes account receivable and cash flow management, sales training, managing change, and employee development. "Professor Laura Williams is the first teacher I have ever had that would do anything for her students. She gave her students her full attention in and out of class," wrote one nominator. "With the flexible meeting times and advice on how to survive in the business world, I feel a lot more confident going into accounting. I believe she has made a huge impact on my life at college because she had a way of easing it as I had to adjust quickly." Another wrote, "Mrs. Williams is a very motivated teacher. I admire her energy, enthusiasm, realness and motivation. I believe that it rubs off on her students and that is what makes her an outstanding teacher." "My role as a lecturer is that of a coach, who aids in the molding and shaping of a team of students. My mission as a coach in the classroom is to inspire each student to work for the attainment of academic excellence and to show them how to apply course knowledge in 'real life,'" Williams said. "It is my goal to motivate students to learn solid business principles and leadership skills." Deborah Orloff, associate professor of art and director of the Photography Program. She moved to Toledo in 1994 to accept an assistant professor position at the University. 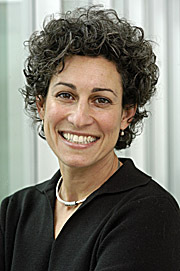 Orloff was promoted to associate professor in 2000. Her primary medium is photography, but she also works in video and mixed media. Orloff's artwork has been exhibited in North America, South America and Europe. This summer it will be shown in Asia. "Deborah's expertise of photography and professional practices is equally met by her exceptional ability to transmit related information to her students in clear, concise and precise increments. Her manner of teaching is easily comprehensible," wrote one nominator. Another noted, "Deborah was by far the most pivotal and influential teacher of my collegiate life. There was never a moment when I didn't feel completely supported as an artist and encouraged in whatever path I pursued. Not only did I receive the technical skills to proceed with photography, but the confidence and courage to follow my dreams." "I encourage students to use photographic processes as a means for artistic expression, not as an end. If I am successful, they will use that knowledge to take their work in directions which are relevant and meaningful to them as individuals," Orloff said. "I love photography. When you’re excited about something, you want to share it. Teaching allows me to awaken and uncover the same passion in my students."